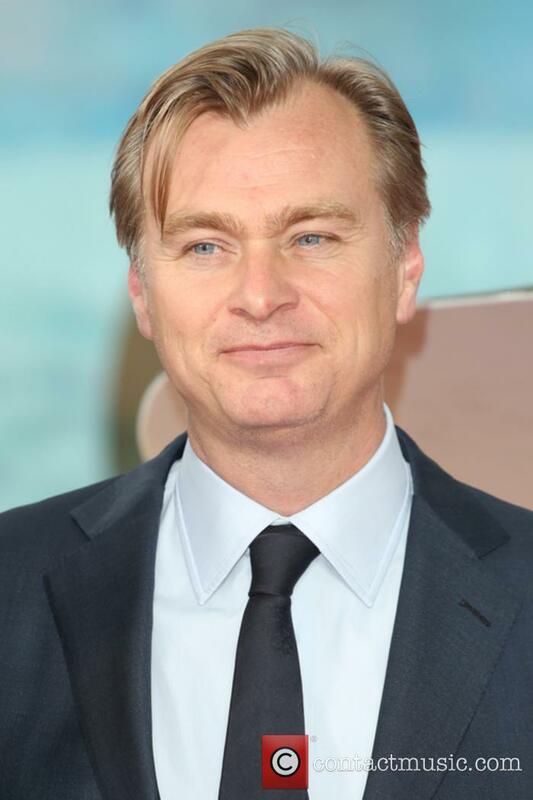 Christopher Nolan is an English born British-American film maker specialising in directing, screenwriting and producing, best known for his high budget, box office hits such as the 'The Dark Knight Trilogy' and 'Inception'. 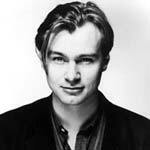 Childhood Christopher Nolan was born in London to an English Father who worked as an Advertising copywriter and American mother who worked as a flight attendant. As a duel-citizen, Nolan grew up between Chicago and London. At the young age of seven Christopher was taken to Leicester Square by his father to view '2001: A Space Odyssey' in a move that would ultimately inspire him to get into the movie-making business. After meeting Academy Award nominated documentary director Roko Belic in Chicago, Nolan began collaborating on an 8mm short film, 'Tarantella' (1989) which was shown at an independent film and video showcase. Nolan was educated at British independent school Haileybury and Imperial Service College in Hertfordshire before going to read English Literature at University College London (UCL) which later became a landmark to be included in many of his film scenes. Christopher Nolan chose UCL due to its notable filmmaking facilities, as it supplied 16 mm cameras for students to work on and had its own Steenbeck editing suit. Nolan realised that reading literature also allowed him to manipulate and utilize author's narrative freedom for filmmaking. Whilst Nolan stayed at the university he was appointed president of the Union's Film Society (one of the oldest and most prestigious film societies in England). He would screen 35mm feature films during the school year and would use any money he earned to film 16mm films during the summers. Upon graduating he was announced an Honorary Fellow of UCL for his contribution and distinction in the arts. Nolan directed corporate videos and industry films before moving to Los Angeles and becoming a script reader. Career: Nolan began his career in film making with a series of short films, which he, himself funded with equipment supplied by his film society. 'Larceny' (1995) consisted of restricted cast, crew and equipment and was shot over a period of a single weekend and was displayed at Cambridge Film Festival in 1996. It has been considered one of the best shorts produced by UCL in recent generations. Nolan wrote, directed, co-produced, edited and photographed 'Doodlebug', a short film about a single mans attempt to kill a 'bug' with a shoe in 1997. Nolan directed his first feature film, 'Following', in 1998 starring Jeremy Theobald who had previously been involved in 'Doodlebug'. The film was made on a small £3000 budget and shot over weekends as to not disrupt the cast and crews day jobs. Nolan was primarily working with friends whom he had met through the film society at UCL including film composer David Julyan who would later go on to work for Christopher Nolan on Memento, Insomnia and the Prestige. The film was shot in black and white in order to reduce costing of lighting. Due to the success of Following, Nolan was offered the opportunity to make 'Memento': an original film based on Christopher Nolan's brothers (Jonathon) short story about an individual (played by Guy Pierce) who suffers from anterograde amnesia, and therefore must use notes and his body tattoos to find his wife's killer. Following the success of 'Memento', Nolan went onto direct 'Insomnia' (recommended by Steven Soderbergh to Warner Brothers): a psychological thriller based on a Norwegian film of the same name, with major plot and character changes. 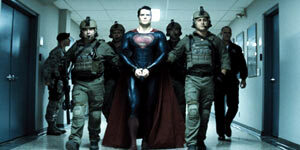 The film obtained $113 million worldwide and became Nolan's first commercial success for Warner Brothers. In 2005 Nolan co-wrote and directed the fifth Batman reboot, 'Batman Begins' starring Christian Bale as Bruce Wayne/Batman and co-starring Morgan Freeman and Michael Caine. Nolan and David S. Goyer convinced Warner Brothers to allow a commercially unknown director to direct the re-boot. The film relied on its realistic, human characteristics in the dark setting which Nolan understood and had previous success with. The film used stunt doubles and practical effects, aiming to avoid computer generated visual effects. The film received commercial and critical recognition becoming the 9th highest grossing film of 2009 and praise from previous Batman directors, Tim Burton and Joel Schumacher. Wally Pfister was nominated for an Academy Award for best Cinematography for whilst the film achieved five BAFTA nominations. Nolan co-wrote, directed and co-produced 'The Prestige', starring Batman Begins stars Michael Caine and Christian Bale. The cast also included Hugh Jackman and Scarlett Johansson and was based on a novel written by Christopher Priest about two rivalling magicians in the 19th century. 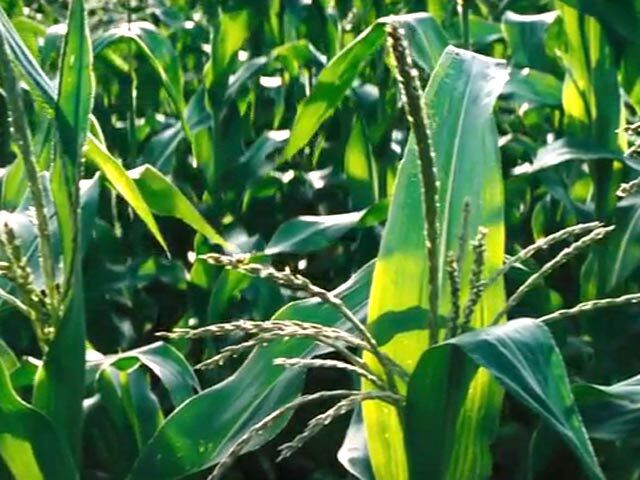 Like Nolan's other films the narrative was carefully constructed into three stages to correspond with the film. The film achieved two Academy Award nominations for Best Cinematography and Best Art Direction. Nolan returned to his Batman franchise in 2008 with the release of 'The Dark Knight' written by Christopher and his brother, based on a story devised by Christopher and Goyer. Heath Ledger co-starred alongside Christian Bale as the new villain, The Joker and won an Academy Award for best supporting actor. Ledger died 6 months before the release of the film due to a toxic combination of prescribed drugs which affected Warner Brothers marketing scheme out of respect for the actor. The film was nominated for another seven Oscars, which it also won best sound. The film achieved an impressive worldwide gross of $1,004,558,444. 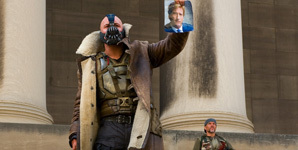 After the success of The Dark Knight, Warner Brothers signed Nolan on to direct 'Inception' for a seven figure salary. 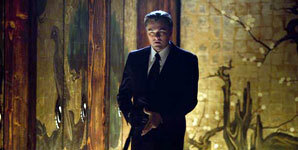 Nolan co-wrote, directed and co-produced 'Inception' which starred Leonardo DiCaprio alongside Joseph Gordon-Levitt, Tom Hardy, Ellen Page and Cillian Murphy (whom Nolan had previously worked with in both the Batman films). The film grossed over $800 million worldwide and won four Oscars out of the eight it was nominated for including best cinematography. Nolan returned to the Batman franchise to direct the third and final Batman instalment. 'The Dark Knight Rises' starred Christian Bale, Morgan Freeman and Michael Caine as well as 'Inception' stars Tom Hardy and Joseph Gordon Levitt being added to the cast. Like the previous films in the series the film achieved notable, critical and public success becoming the thirteenth film to achieve over $1 billion at the worldwide box office. Nolan teamed up with Goyer to Produce 'Man of Steel': a Superman reboot to follow the same human approach to superheroes as the Batman franchise did. Zack Snyder was announced as director and was personally recommended by Nolan due to his visual and character style in '300' and 'Watchmen'. 'Man of Steel' performed well at the box-office, yet divided critics due to the reworking of the character and plot details. 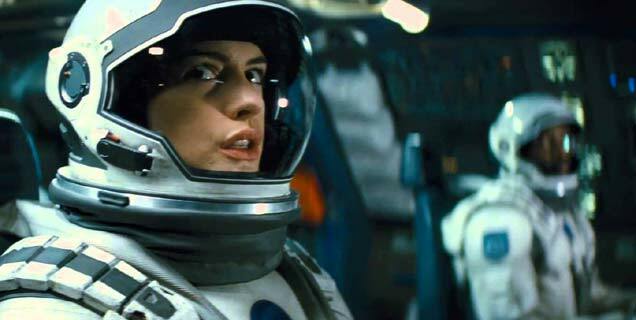 When director Steven Spielberg dropped out of the 'Interstellar' project, Nolan stepped in. 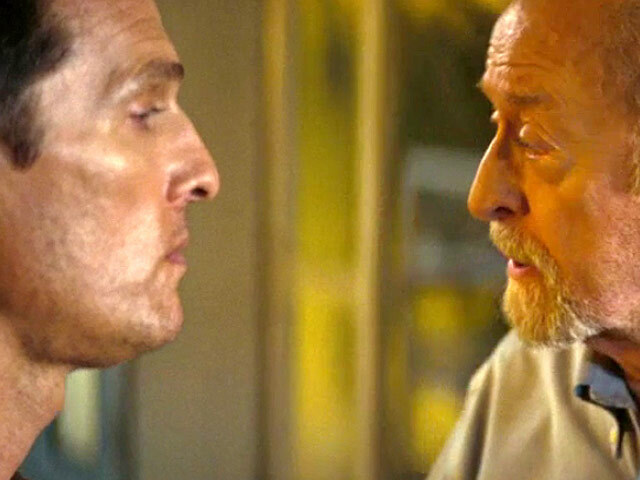 The film starred Matthew McConaughey and Anne Hathaway, yet despite a good box-office turn-out and strong critical praise, the film was criticised for its scripting and direction. Nolan announced that he was serving as an executive producer on 'Batman v Superman: Dawn of Justice': a sequel to 'Man of Steel', set for release in 2016. 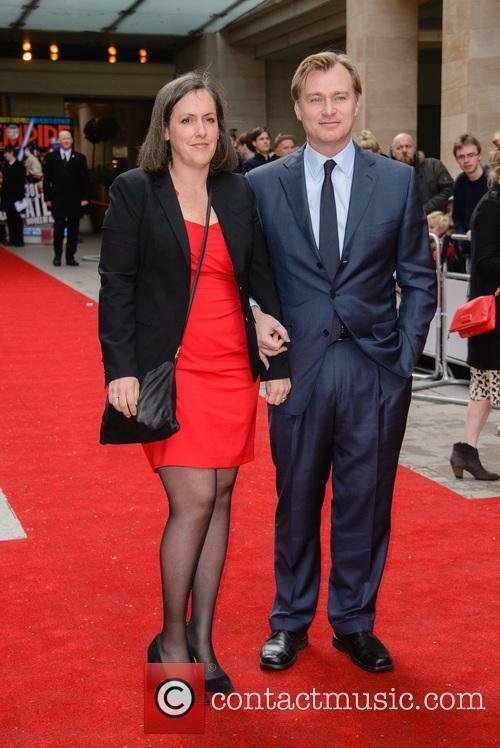 Personal Life: In 1997 Nolan married long-time girlfriend who he met at UCL and long time working producer who owns shares Syncopy productions with him. 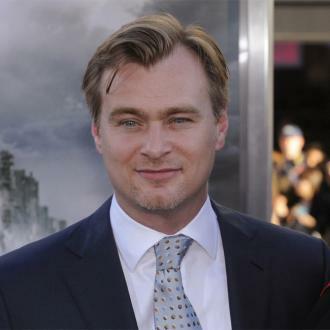 Nolan has acknowledged that he does not see the requirements with mobile phones or e-mail addresses nor the need for computer visually effects and therefore avoids them if possible in his films. Christopher Nolan is revisiting his 'Dark Knight' trilogy, discussing the genres of each movie and its villains. Christopher Nolan took the opportunity at this year's Cannes Film Festival to chat about his brilliant 'Dark Knight' trilogy of movies. Made up of 'Batman Begins', 'The Dark Knight' and 'The Dark Knight Rises', the three films were all extremely successful, and saw Christian Bale take to the role of the Caped Crusader. To this day, the gritty films are heralded as some of the best superhero movies the world has ever seen. They're consistently brought up as having influenced many of the darker comic book-based films we've seen since, and Nolan has without a doubt cemented a legacy unlike any other. The filmmaker doesn't rule out becoming a part of the franchise in the future, however. With Daniel Craig confirmed to be returning at least one more time in the leading role of James Bond, talk has now once again turned to who will be behind the cameras, directing the action flick. Plenty of high-profile names have been thrown into the mix, but one man we know for sure won't be returning is Sam Mendes, who saw an underperformance in the box office with his final 'Bond' release, 'Spectre'. Following the huge success of 'Dunkirk' and of course his other major hits, such as the 'Dark Knight' Batman trilogy, Christopher Nolan has been hotly tipped to work on the currently untitled 25th Bond movie, referred to as 'Bond 25'. He seems like the perfect fit for the job, and is somebody a vocal portion of the 'Bond' fan base has rallied behind. The filmmaker says he got something others don't get in the modern world. Christopher Nolan's series of 'Batman' films are without a doubt some of the most celebrated superhero movies in the world. Whilst the current DC Extended Universe slew of films aren't making the best impact (bar the brilliant 'Wonder Woman'), the 'Dark Knight' trilogy ticked all of the boxes and more. Nolan has been chatting about his experience making the trio of movies, which came at a time when the box office wasn't bogged down every few months with a brand new crime-fighting comic book live adaptation. 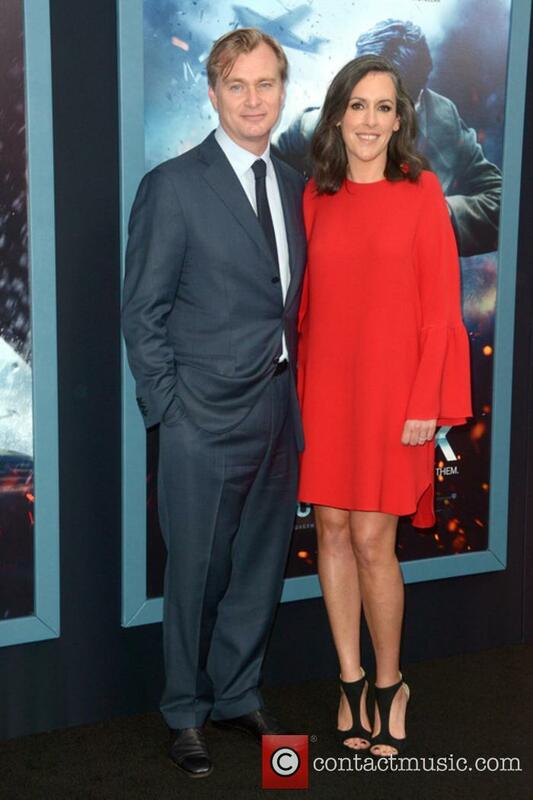 While out talking about his huge-screen epic Dunkirk, Christopher Nolan has been vocal about how he feels about small-screen companies like Netflix that sometimes keep movies out of cinemas. "Netflix has a bizarre aversion to supporting theatrical films," he said. "They have this mindless policy of everything having to be simultaneously streamed and released. I think the investment that Netflix is putting into interesting filmmakers and interesting projects would be more admirable if it weren't being used as some kind of bizarre leverage against shutting down theatres. It's so pointless. I don't really get it." While Netflix insists that it isn't trying to close cinemas as it promotes its online platform, Nolan is adamant that his movies are designed to be seen on large screens as a communal experience. 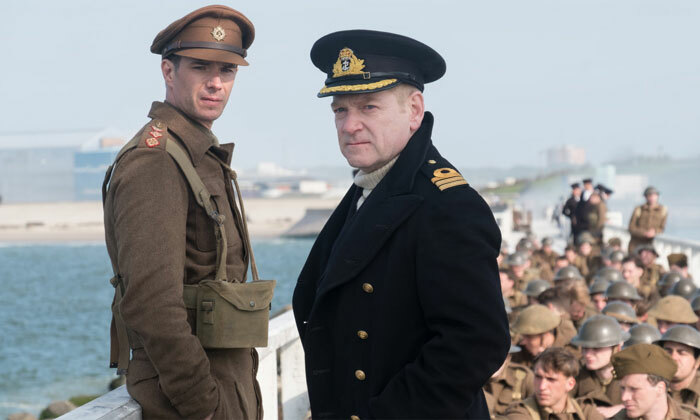 Britain's epic 1940 evacuation of Dunkirk has been dramatised on film before, but no one has taken an approach like Christopher Nolan. Not that this is a surprise, since Nolan has made a career of fiercely inventive filmmaking. But this might be his masterpiece: a relatively simple story told with creative verve, relentlessly growing intensity, emotional resonance and the weight of history. He recounts the events on three timelines. Over the course of a week, young soldier Tommy (rising star Fionn Whitehead) finds himself on the beach at Dunkirk amid 400,000 soldiers hemmed in from behind by the Germans and looking for some way to get across the Channel to England. But every ship he finds is sunk in front of him, or under him, as German pilots drop bombs from the sky. Meanwhile over the course of one day, English yachtsman Dawson (Mark Rylance) and his sons (Tom Glynn-Carney and Barry Keoghan) head off to do what they can as part of an armada of small civilian boats. 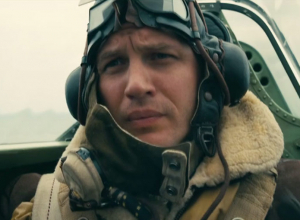 And in the sky above over the course of an hour, spitfire pilot Farrier (Tom Hardy) engages the Luftwaffe in a series of aerial battles. Nolan skilfully edits these three time-strands together into a narrative that continually loops back on itself, showing events from different angles. It sometimes feels a bit repetitive, but that's the point, and the result is increasingly resonant as it recounts the events from three internal perspectives. 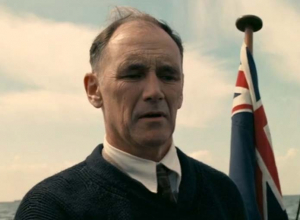 In the focal roles, Whitehead, Rylance and Hardy offer distinct angles on heroism and survival. These are powerfully engaging performances that reveal men merely doing what they can in seemingly impossible situations. 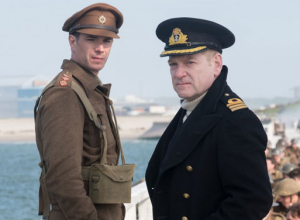 English-American director Christopher Nolan has revealed he filmed 'Dunkirk' on the beaches of northern France because he wanted his war drama to feel ''tactile''. Christopher Nolan filmed 'Dunkirk' on the beaches of northern France because he wanted his movie to feel ''tactile''. 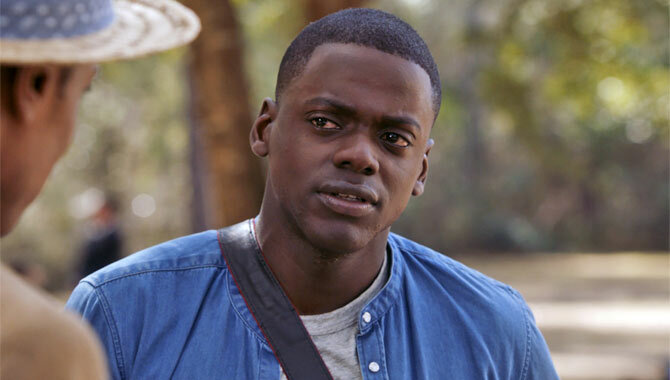 The 46-year-old movie-maker's new film has already been widely hailed by critics, and Christopher has explained some of his thinking behind his much-discussed latest effort. He said: ''The tone of the film is really about immersion, it's really about first-person experience. There's very little dialogue in the film. The filmmaker still enjoys the genre, but thinks the time has come for others to step forward and create the movies within it. If you ask any film fan what their favourite superhero movie is, there's a strong chance they're going to say one of the three that made up Christopher Nolan's Batman trilogy; 'Batman Begins', 'The Dark Knight' and 'The Dark Knight Rises'. The first, 'Batman Begins' served to reignite the passion people had for seeing the Caped Crusader on the big screen, following a series of films that saw mild success, but not enough to get excited about in the years before. 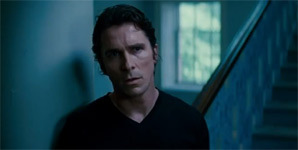 Christian Bale was the man at the helm in the titular role of the World's Greatest Detective, with Batman in this iteration more relatable and grounded in the real world than we had ever seen him before. Nolan knew he was on to a winning formula and stuck with it, bringing recognisable DC Comics characters such as Scarecrow, the Joker and Catwoman to the big screen through the three flicks. Christopher Nolan's World War II epic forced the actors into the 1940s soldiers' shoes. 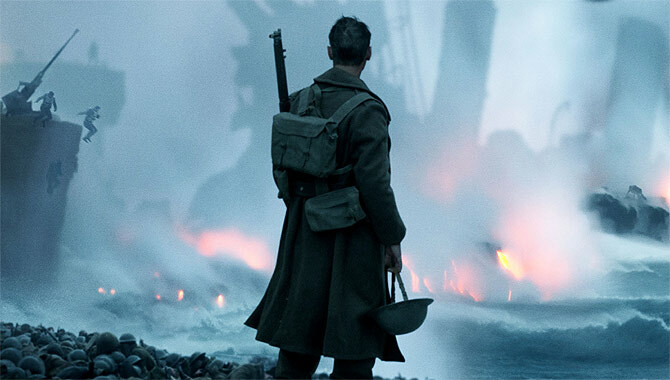 The Battle of Dunkirk remains one of the most legendary and terrifying moments of the 20th century, and the cast of Christopher Nolan's World War II drama 'Dunkirk' got to experience just what that might have been like first hand thanks to the immense detail of the set. 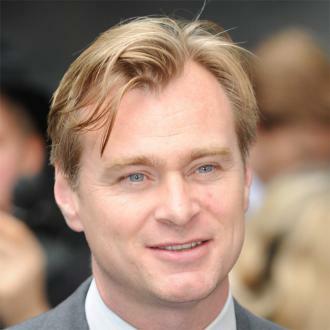 Director Christopher Nolan is well known for the astounding scope of his movies, and also that he never does big action scenes by halves. As it goes, 'Dunkirk' is very much one enormously intense action scene for the majority of the running time - and with real World War II spitfires flying around, thousands of extras and genuine explosions, acting wasn't necessary. It's 1940 and World War II is in full swing. Allied soldiers from Britain, Belgium, Canada and France at stationed at Dunkirk ready to pull France from the grip of the Germans. However, they soon discover that they are completely surrounded by enemy forces who have them so trapped that they no longer have use for tanks. Confined in the open space of the Dunkirk beaches with nowhere left to hide and definitely nowhere to run, the soldiers face almost certain death as the air strikes begin. Their only hope is to sail across the English Channel to safety, but with enemy planes showing no mercy their survival will be miraculous. But these are allied forces aren't about to surrender, no matter what happens. Their courage and determination is about to save more than 300,000 men. 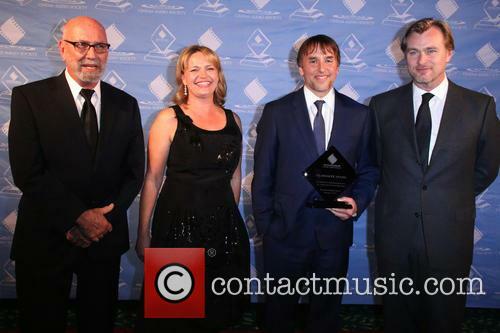 Complained About the Sound Quality in 'Interstellar'? It Was Intentional. 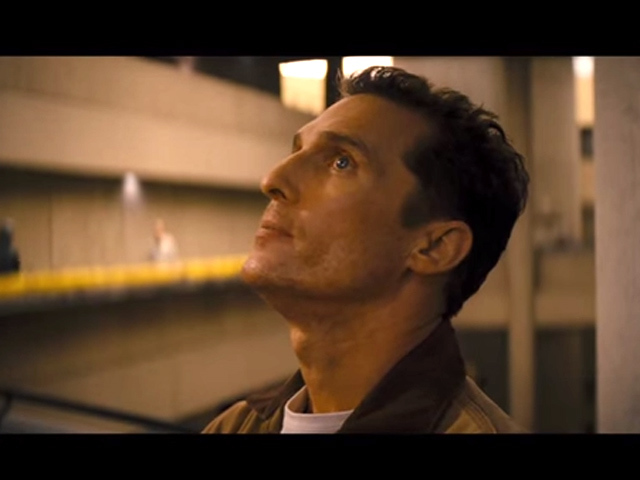 What Do We Know About Christopher Nolan's Interstellar? 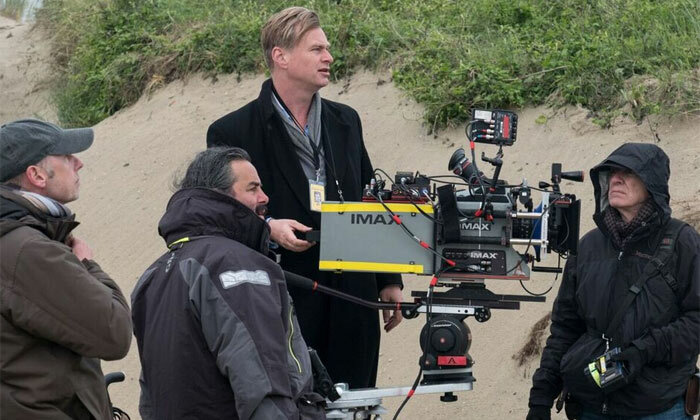 Christopher Nolan Shooting 'Interstellar' Like "A Documentary"